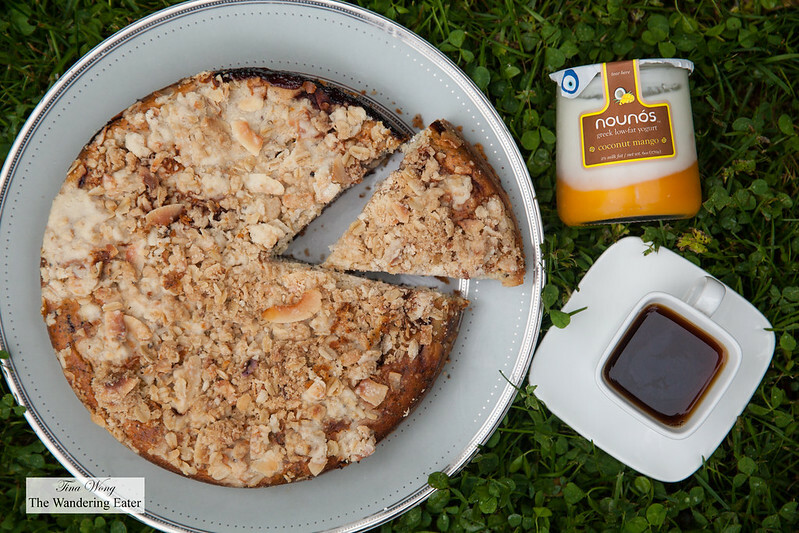 I recently worked with Nounos Creamery using their incredible Greek-style yogurt (and it’s locally made in Long Island, NY) into my recipes. Several weeks ago, it was prime cherry season and I wanted to bake a cake instead of baking a pie. (Trust me, I am not opposed to making pie but it was sweltering in my kitchen and the all butter pie crust won’t survive a few minutes of rolling.) I am a fan of Yossy Arefi of Apt. 2B’s book Sweeter Off the Vine and stumbled on her recipe using cherries and poppy seeds. 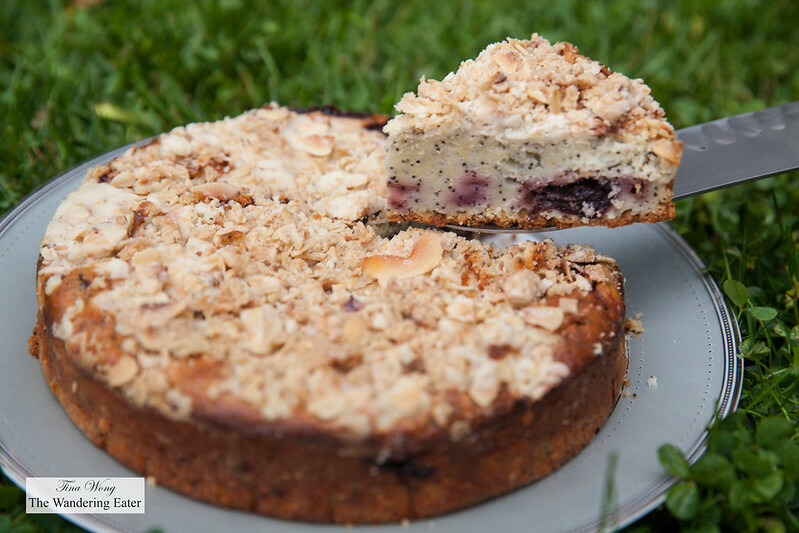 The addition of Nounos’ tangy yogurt added a subtle tang to the cake and worked with the fruity acidity of the cherries. It’s a quick cake to whip up which is always a plus for my busy schedule.